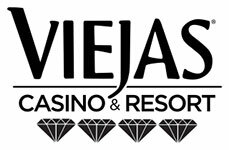 Viejas was originally opened as a casino, without a resort, back in 1991. It is located in Alpine, California and it is owned by the Viejas Band of Kumeyaay Indians. In 2007 the casino was renovated and the plan to expand the complex and add a resort with other amenities was announced. The hotel was opened in 2013 and it was expanded in 2015. In addition to the hotel expansion, a new parking garage and a refurbished non-smoking casino section were also introduced to the public in 2015. The hotel now features 128 rooms, 29 of which are exclusive suits. Other amenities include an outlet mall and a bowling alley. There are a number of restaurants that are part of the casino complex, including The Grove Steakhouse, Far East Express, a buffet and few other. The total gaming space at this casino is 133,000 square feet large and it features over 2,000 slot machines and more than 85 tables. Fortune Pai Gow, 3-Card Poker, Craps, Texas Hold ‘em and other games are offered. Furthermore, Viejas Casino also offers off track betting. When it comes to Blackjack, Viejas Casino and Resort offers 6-Deck, Double-Deck and Single-Deck Blackjack. It used to offer 8-Deck Blackjack with a minimum bet of $1, but it no longer does. Most 6-deck Blackjack games at Viejas Casino offer standard 3 to 2 payouts for Blackjack. The dealer is supposed to hit soft 17 and doubling down after a split is available, but you can’t re-split aces or surrender. The house edge for this version is 0.63%. The table limits are $5 and $1,000. This casino also offers another version where the Blackjack payout isn’t the standard 3 to 2, but 6 to 5. The rest of the rules are pretty much the same, the dealer hits soft 17 and doubling down after splitting is permitted. The maximum wager for this version is $500. The house edge is increased significantly due to the lower payout and it is between 1.97% and 1.99% depending whether a CSM is employed on the table in question or not. At four of the five double-deck tables at Viejas you will get a standard 3 to 2 payout for a Blackjack. The dealer also hits soft 17, doubling down after any two cards is permitted and so doubling after a split, but you can’t surrender or re-split aces. The house edge for this variant is not bad – 0.40%. The minimum bet is $25, whereas the maximum $2,000. Be careful if you sit at the double-deck table which offers a 6 to 5 payout for a Blackjack as that alone increases the house edge to 1.78%. The rest of the rules are the same and so are the table limits. Viejas offers one table where you can play single-deck Blackjack. The rules are just the same and the Blackjack payout is standard, 3 to 2. The dealer hits soft 17, you can’t surrender or re-split aces, but you can double any two cards and double after a split. The minimum bet is $15, whereas the maximum amount that you can bet is set at $1,000. This game features a very competitive house edge at 0.18%. Buster Blackjack is a side-bet that you can place at the tables in Viejas. It is a bet that the dealer will go bust and the payouts are based on the number of cards. So, if the deal busts with 3 or 4 cards, the payout is only 2 to 1, but if they go bust with 5 cards, it reaches 4 to 1, whereas with 6 cards it is 15 to 1. If the dealer deals themselves a seventh card and yet goes bust, you will receive an amount worth 50 times your bet, whereas the highly improbable bust with 8 or more cards will result in a 250 to 1 payout. The house edge at different tables at Viejas may vary quite a lot, mostly depending on whether the Blackjack pays 3 to 2, or 6 to 5. By all means avoid the 6 to 5 tables if you want to make a profit. The single-deck table offers the best house edge, but since there’s only one such table, there’s heavy surveillance. The penetration varies by dealer. There are enough tables at Viejas, so it might be wise to hop from one to another and try to find the 3 to 2 payout, either 6-deck or double-deck table that offers the best penetration. Bear in mind that this casino has a $100 maximum bet policy for players who join the game mid-shoe. Viejas Casino and Resort has a fair Blackjack offer and since few years ago, it also offers a lot of other activities that you can enjoy in. There’s a big discrepancy in the house edge and if you play your cards right, both at the table, but also in the process of picking the right one, and you’ll have a fair chance of earning some money here.